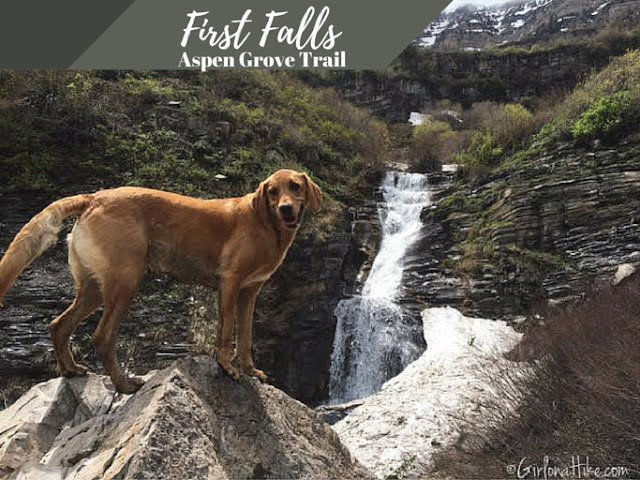 First Falls is the, well, the first waterfall along the Aspen Grove Trail, a popular route to the Mt. Timpanogos summit. 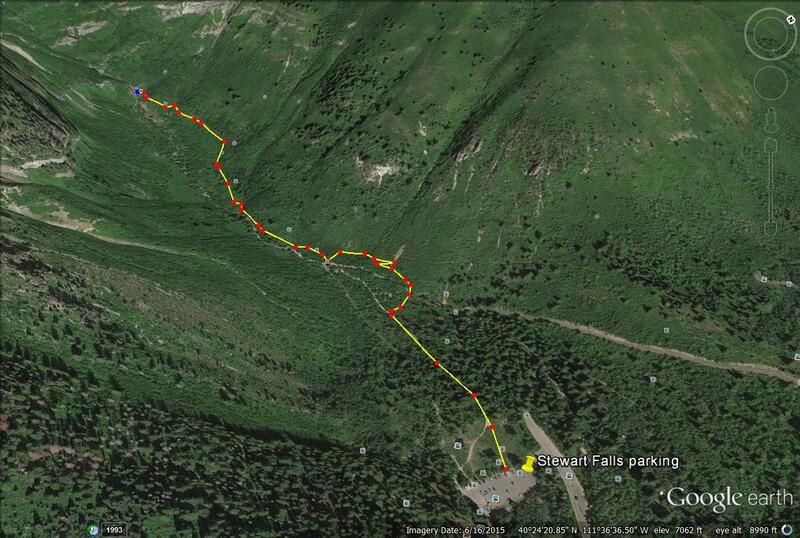 After we hiked Stewart Falls, we headed over to this trail since it starts from the same parking lot. First Falls is only 1 mile up the Aspen Grove Trail, and is paved for half of it. 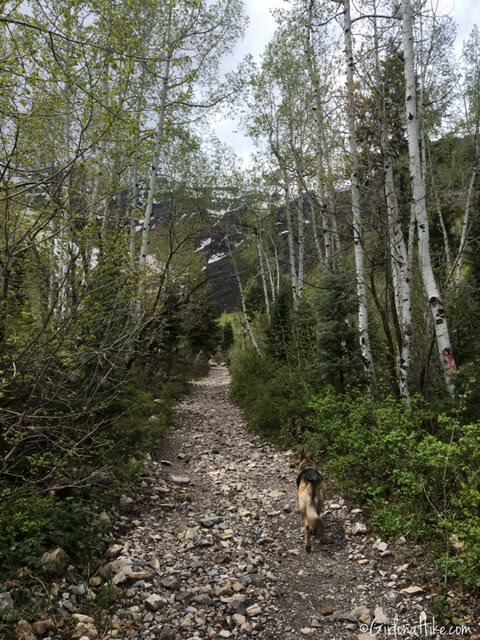 The first half is rocky, from when the forest service reconstructed the trail due to a wash out from heavy snow melt. The second half is paved from when the trail first went in, in the early 1930s. First Falls is fun for the whole family, and those looking for a short, yet scenic destination. From SLC head south on I-15 for roughly 30 miles (depending on where you start from). Take exit 272 in Orem, heading East. 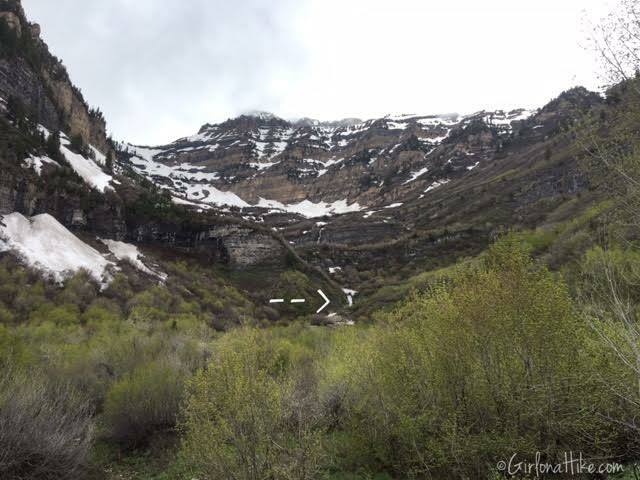 Drive for 3.7 miles on this road, then veer left for Provo Canyon. Drive another 6.7 miles, drive through the tunnel, then turn left at the brown sign for Sundance. Drive past Sundance for 5 miles, until you reach the fee booth for the Alpine Loop Road. Just after the fee booth, turn left into the large parking lot. From October to Memorial Day, the fee station is closed, but there is a self serve fee station in the parking lot. 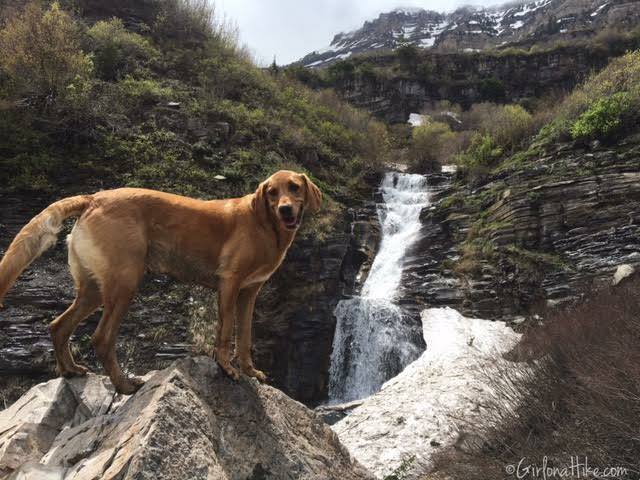 If you are there only to hike, there is only one fee option - the 3 day pass which costs $6. There are restrooms in the parking lot. 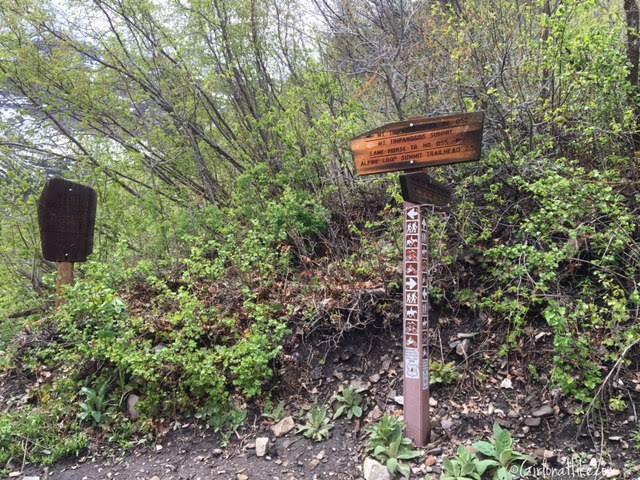 Follow the signs for the Aspen Grove/Timpanogos trail. 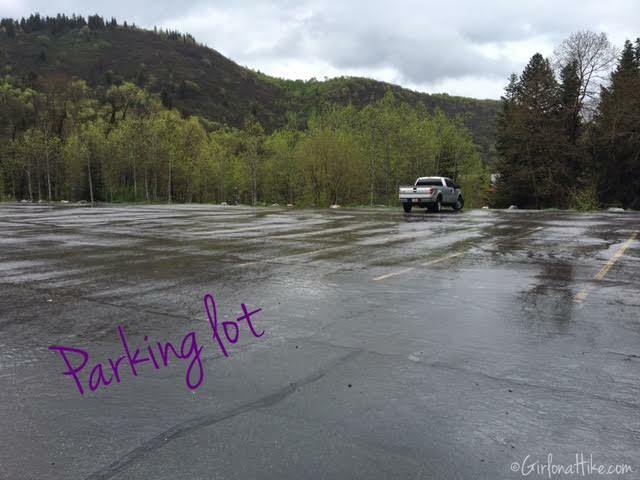 First Falls and Stewart Falls use the same parking lot. 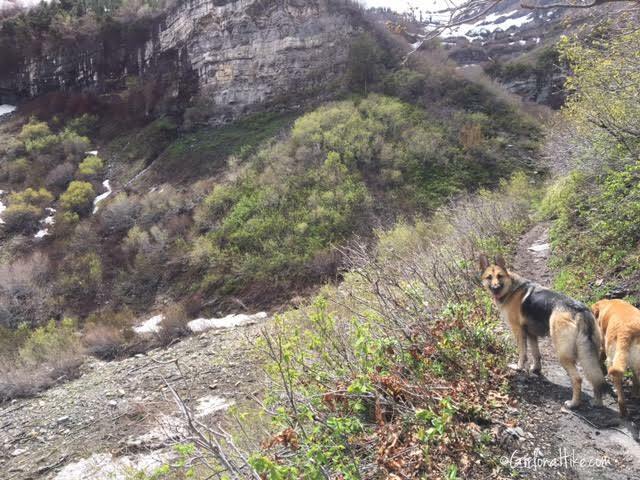 The beginning of the trail is wide and rocky. At the first trail split, turn left. About 1/3 of the way up the trail you can already see First Falls. 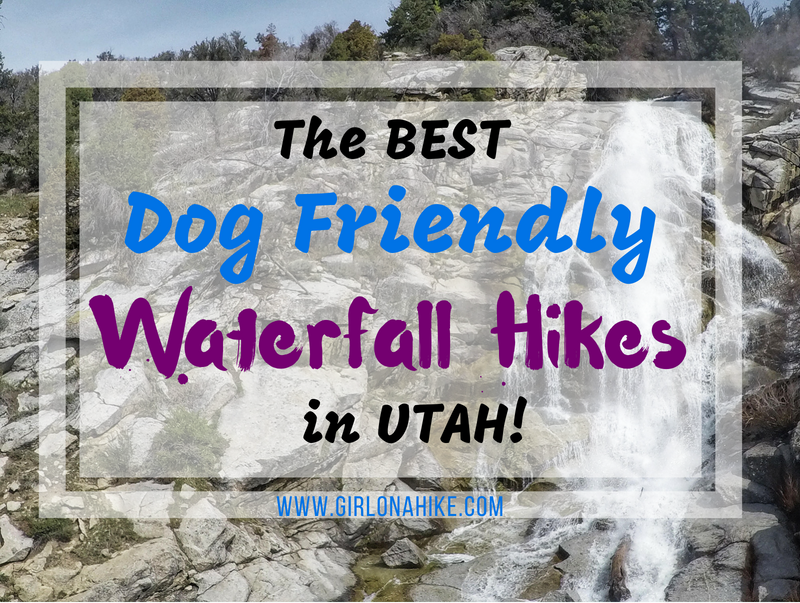 IF you hike all the way up to Timp, you will actually see probably 10 waterfalls. As you gain more elevation, you'll see a large cleared area on your left. This is from all the avalanches clearing this section over the years. You will also see that some trees grow straight out first, then up, since the avalanches groom them this way. After 30 minutes or so we reached First Falls! 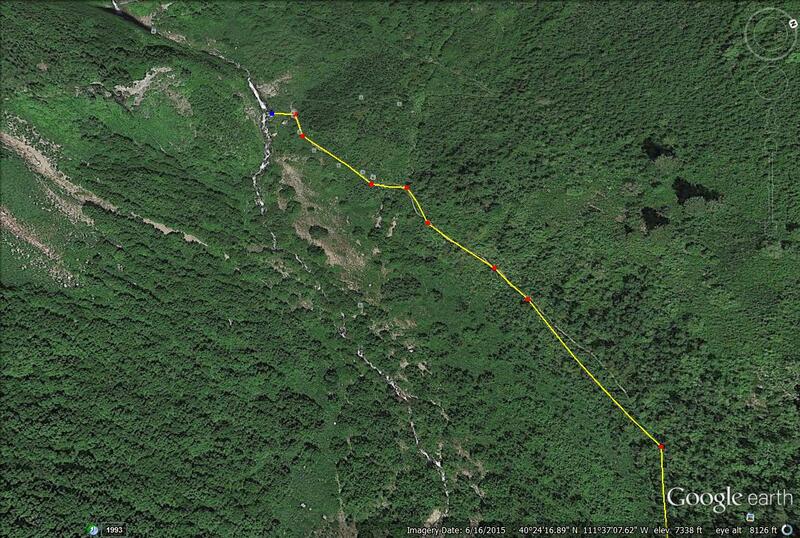 A close up of the trail map, for the last 1/3 mile.